Tickets for the North American will go on general sale on December 14th at 10am. 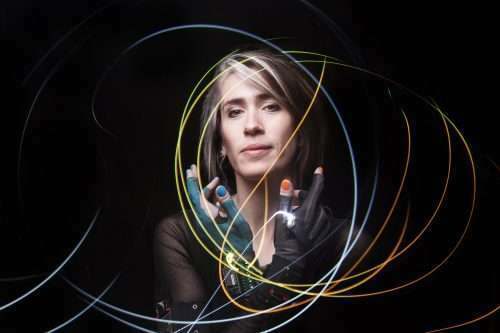 Market specific details and new dates and locations will be regularly announced on the Imogen Heap website. 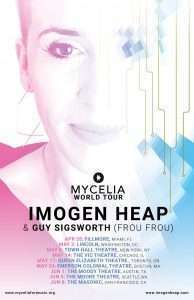 After a vibrant and successful 2018 around Europe, Mycelia is embarking on its 9-city North American leg of its world tour from April – June of 2019. The tour kicks off in Miami and will pass through Washington, DC, New York, Chicago, Toronto, Boston, Austin, Seattle and San Francisco. Imogen shares: “For years now we’ve been complaining about the state of the music industry and how it has been held back by old ways of thinking, negatively impacting music makers – a major pain point being that we are the first to put in any of the work, and the last to see any financial reward or even payment. Through Mycelia and its ‘Creative Passport’, as music makers we now have no excuse but to put our best foot forward and become open for business, decentralising the ecosystem so that it will ultimately benefit everyone. I am excited to be going on the road to bring this to life, in addition to showcasing other new technologies which will add to transforming the music industry into a fair, flourishing and vibrant place”.